Which James Bond Movies Actually Had You Convinced Bond Was in Danger of Being Killed? James Bond is the most immortal mortal character ever conceived. He has a nasty habit of surviving. Put him in an overly elaborate death trap and he finds a way to escape. Kill him off and he shows up a few scenes later, fit as a fiddle and pleased with himself for fooling his enemies. And when he gets too old, he just gets replaced by a younger actor. The fun of Bond movies isn’t so much guessing whether or not the protagonist is going to live or die, but how stylishly he can overcome his enemies. Which is why it’s so surprising when these movies sometimes manage to make us believe Bond could actually be killed. Only two movies truly made me feel like there was no way Bond was going to make it out of them alive: From Russia with Love and Licence to Kill. I’d like to explain why that is. Spoiler: It’s mostly the villains. In Sean Connery’s second outing as James Bond, he was put to the ultimate test. In the pre-title sequence (the first in the series), we’re led to believe that Bond is dead until we see that it was just someone wearing a mask to make himself look like Bond. Robert Shaw plays a S.P.E.C.T.R.E. agent who has trained for years for one job: to kill 007. I know he has a name, but I never remember it, so I’ll just call him Shaw. Anyway, he kills a lot of people in this film, and he’s always working his way a little closer to his ultimate target. This creates so much suspense. The audience knows what danger Bond is in the whole time, but he’s mostly oblivious to it. When Shaw impersonates a British agent to get into Bond’s confidence, I’m on the edge of my seat waiting for the moment when he finally strikes. And when that moment comes I’m never quite prepared. 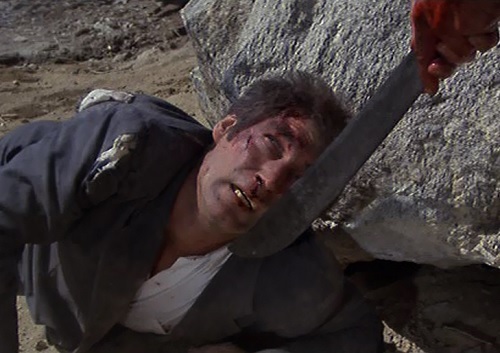 Using his wits and one of Q’s handy gadgets (also the first in the series), Bond barely manages to survive a brutal fistfight with the bigger, stronger Shaw in the confines of a train compartment. After that, Bond also has a few other close calls, almost getting run down and blown to pieces by a helicopter, shot by men on boats, and poisoned by a woman. I was pretty sure he would survive all of that, but the malevolent threat that Shaw posed was enough to convince me through most of the film that Bond’s life was in serious jeopardy. Bond has never been more out of his element than in Licence to Kill. I’m one of those people who thinks that Timothy Dalton’s two Bond films are among the best in the series. The Living Daylights felt like a pretty “safe” Bond film where he’s given an assignment and carries it out with deadly accuracy. In his second outing, though, all bets are off. He’s on his own. Other British agents are actively working against him and he has very few allies he can truly trust. And Sanchez and his drug-dealing henchmen are no ordinary Bond villains. They don’t set up elaborate death traps; they simply kill people in brutal, awful ways, like cutting out their hearts, dumping them in a shark tank, and making them literally explode. They’re also not above gunning people down in cold blood. 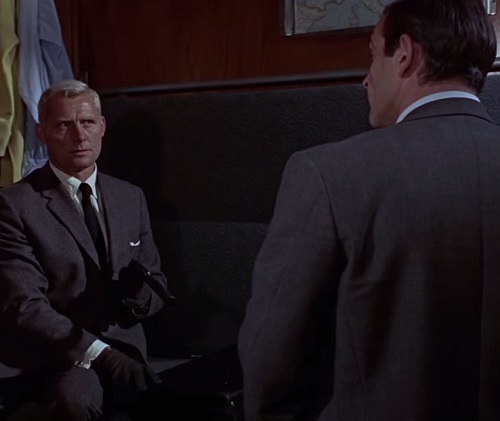 Bond pulls a switcheroo where he does what Shaw did to Connery’s Bond and pretends to be Sanchez’ friend for much of the film, even while he’s actively working to take Sanchez down. None of this is motivated by politics or strategy like most of his other missions, but by simple revenge. Bond wants to kill Sanchez for hurting the ones closest to him. At any moment, Sanchez could discover the truth and have Bond executed. Near the end, when Bond goes into the compound where they hide cocaine in gasoline, it really feels like he may not get out alive. He’s surrounded by Sanchez’ men, one of whom knows Bond is a traitor, and he has no weapon and no escape plan. His survival depends on a lot of luck and quick thinking. That scene is immediately followed by the best chase scene in the entire series. Bond has to take down four semi-trucks full of cocaine-laden gasoline, one by one, despite being outnumbered and outgunned. His enemies use everything from swords to missiles to try to kill him, each one getting closer than the last. The movie has me guessing whether or not Bond is going to make it out alive right up until the final fight with Sanchez. This is an unbelievable feat. The scene in Goldfinger where the titular villain threatens to saw Bond in half with a laser is suspenseful and has me worrying about Bond’s wellbeing. But the rest of the film is so much fun that it never really recaptures those few tense minutes. The extended escape sequence in On Her Majesty’s Secret Service where Bond is being hunted by Blofeld’s men for two days in the mountains leads to a lot of close calls, especially when Bond nearly gets buried by an avalanche. The torture scene in Casino Royale (2006) is shocking and scary. I couldn’t figure out how Bond was going to get out of that in one piece, but sure enough he managed to cheat death for the 50th time in that film alone. 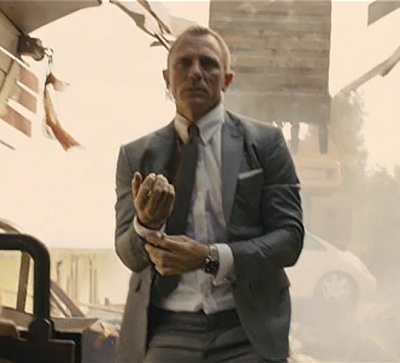 The opening scene of Skyfall where Bond gets shot and nearly drowns definitely made me wonder how he would survive. The movie never gives a clear-cut explanation about how he made it, but the experience haunts him the rest of the film. From Russia with Love and Licence to Kill are two of my favorite Bond movies because they stand out from the crowd. They may not be as fun to watch as others in the series, but they feel like true spy thrillers. I love just about every Bond movie, but these two deserve a special place for managing to do the impossible and make me think that James Bond might not live to die another day. This entry was posted in Random Stuff and tagged action movies, films, james bond, movie review, movies, sequels. Bookmark the permalink. 11 Responses to Which James Bond Movies Actually Had You Convinced Bond Was in Danger of Being Killed? I choose “Skyfall” because there is no explanation about how Bond survives. Very true. When he was sucked down into the vortex at the end of the opening song, I was left scratching my head about what that meant and how he was saved. The rest of that movie he seems pretty in control. I love what they did with M’s character. I didn’t see her fate coming, even though I probably should have. Yes, and in this film “M” is a title, a function, not the code name of a person like “James Bond” could be. I totally agree with your choices. This is also why I don’t like the Brosnan Bond films: there are seldom any cause for concern. When I was young I thought the underwater fight in For Your Eyes Only, with the JIM-suited henchman, was one of the few instances where there was actual danger, too. Oh yeah, that’s a good one. For Your Eyes Only has a few really suspenseful moments, like when Bond is climbing the mountain and the bad guy above him keeps trying to get him to fall, and the underwater scene where he’s fighting the guy in the huge suit and later when he’s getting dragged behind a boat and attacked by sharks. Awesome movie. Yeah, while I do like Goldeneye and Tomorrow Never Dies just fine, Brosnan’s Bond tends to come across as more Rambo than Bond. His fights with 006 should have been really tense because he’s fighting an old friend, but he still feels a little too safe in them.